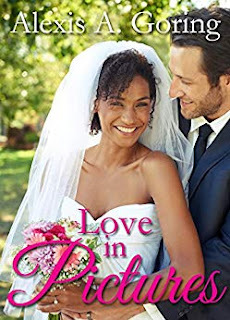 Love in Pictures is a book about a wedding photographer who’s never been in love…until she meets the one man who she cannot forget. Do you create playlists for each book, write to the same music all the time, don’t listen to anything? Music is my muse so yes, I listen to music as I write my stories! I make my own playlists on YouTube. I enjoy movie soundtracks and favorite love songs. Instrumental music that’s soft and romantic helps me write good romance stories too. Where is your favorite place to write? Pictures? My favorite place to write is in my room by the double windows because of the beautiful rays of sunshine in the day and deep blue at night. No pictures are available at this time. ...when she stumbled over a pot of gold as she reached for the light! Now that is intriguing! What book do you admire do you wish you’d written? Sarah Jio wrote an impeccable work of art called Always. I admire her storytelling skills but I don’t wish I wrote her book because that’s what she was called to write, not me. How do you find the balance of writing time and family time? 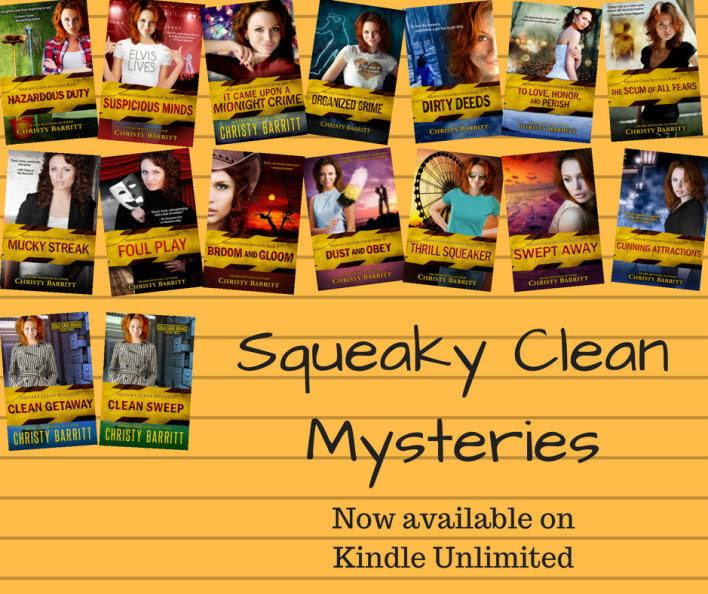 Gabby St. Claire Thomas and her Cold Case Squad reunite to solve a missing person’s case. A friend of Gabby’s husband needs help. His wife, Brooke, went to work one day and never returned home. No one has seen or heard from the woman in four months, and every lead has dried up. Gabby and her team begin to unravel clues about Brooke’s life . . . and not all is as it seems. With each new layer that’s revealed, they realize the case may be bigger than they ever imagined. Did Brooke walk away from her life . . . or did she become ensnared in something deadly? 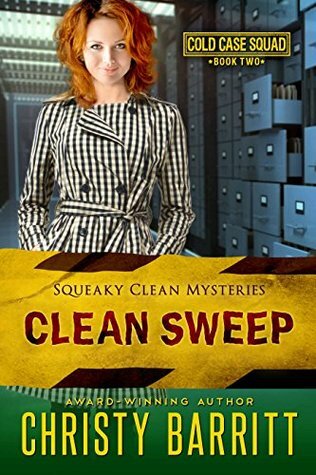 Gabby fears this investigation won’t be the clean sweep she hoped for. No, the dirt she’s turning up might be more of a toxic stain. But as the stakes become clear, she realizes that failure isn’t an option. 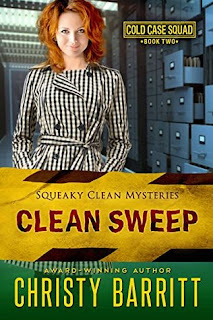 My thoughts: CLEAN SWEEP is the fourteenth book in Ms. Barritt's Squeaky Clean Mysteries series. It does stand alone, but fans will want to read all the books to get to know how Riley and Gabby met, her quirky friends (which have their own series) and more. I have read every book in the series from the beginning and I love Gabby. She is so sweet and quirky. As usual, she manages to get herself neck deep into the investigation before she realizes she's even on the right trail. I absolutely love Ms. Barritt's writing and am so glad she's a prolific writer because I am never out of reading material. Even right now she has two new books out I haven't read yet. I did figure out who might be behind the crimes about midway, but not the whole truth or how or anything. This was an edge of your seat mystery that I couldn't put down. My thoughts: It is rare for a book to leave me speechless. PLAIN FAME is about the unlikeliest story to ever get written, let along published. I have to give the author kudos for an active imagination, but wow. That aside, I am still confused how exactly she ended up in New York City. She was headed with her sister from Lancaster County Pennsylvania to Holmes County Ohio. Opposite directions from New York City. Her sister stayed on the train (Penn Station in NY which I understand is a subway station -- I may be wrong) She was crossing the street to buy sunglasses and gets hit by a rented limo (which Viper wasn't even driving but it's his fault she was jaywalking....) Anyway. Someone needs to study geography. Either the author, the characters, or the people who made a rule that trains must travel hundreds of miles in the opposite direction then backtrack. I'm not saying the author is wrong on this. I don't know. 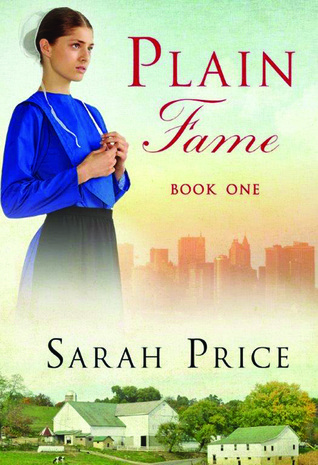 If you like Amish themed stories and don't care about the realism factor, this book is for you. I understand Ms. Price is quite a popular author so don't take my word for it. I will not be reviewing the other books in this series though -- PLAIN FAME, Plain Change, Plain Again, Plain Return, Plain Choice and Plain Christmas. I was given a copy of this book by a friend who liked it as well as I did. All opinions are my own and I was not obligated to write a review. And don't take my word for it. You might love it. 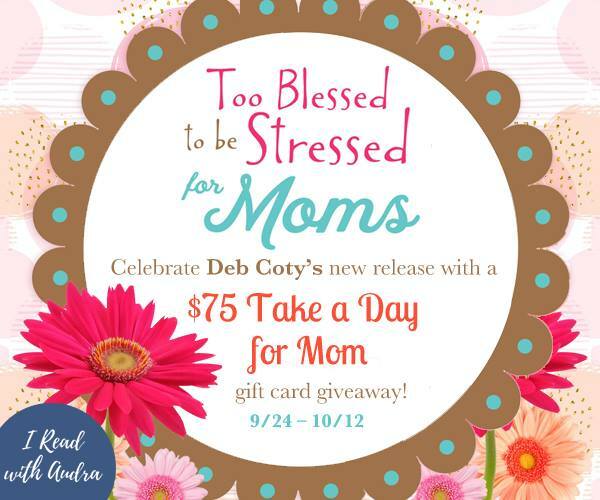 Too Blessed to be Stressed for Moms and #giveaway!! Do you feel like you re drowning in the everyday stress-pool? . . . Wish you could make busy-ness a business so you d be a millionaire? . 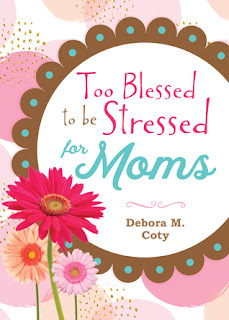 . .
With her own offbeat brand of wit and near-wisdom, popular inspirational humorist Debora Coty addresses heart needs of moms drowning in the churning stress-pool of busyness. In her beloved mom-to-mom, grin-provoking style, Coty offers empathy, laughs, real-life stories, practical parenting survival tips, and fresh biblical insights to help you hear Papa God s still, small voice through life s chaos. Whether you're struggling with stress related to attitude, time-management, guilt trips, patience, or something in between. . .this humor-filled volume will deliver a much-needed smile and equip you with simple-to-implement tips for attaining the peace we all crave the peace that passes all understanding. My thoughts: TOO BLESSED TO BE STRESSED FOR MOMS is a must read book for Moms of all ages. Even if your children are grown these stories will amuse you and if your children are young -- or even teens -- they will encourage you. I laughed out loud at some of the stories -- like the battle with the cat one. Super funny. And kind of gross. I grew hope to realize that maybe my "stupid" time will end when a child gets old enough and I'll know more than he thinks I do. I could totally relate to some of the stress - and even took the stress test. I got Orange alert - I was very close to the danger zone. So I needed a reprieve and some serious time in prayer and Bible reading to destress. The laughter helped too. 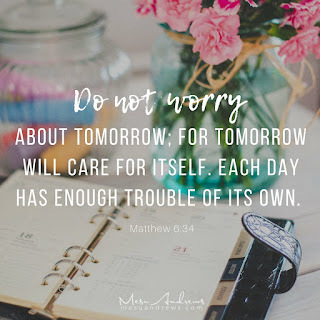 There are verses, quotes, and discussion questions, making this a perfect book for small groups (of Moms), Mom's Time Out groups, or even your own personal study. It also has a beautiful cover and a ribbon marker to make it a perfect gift for a mom, for Christmas, for Mother's Day or just because. 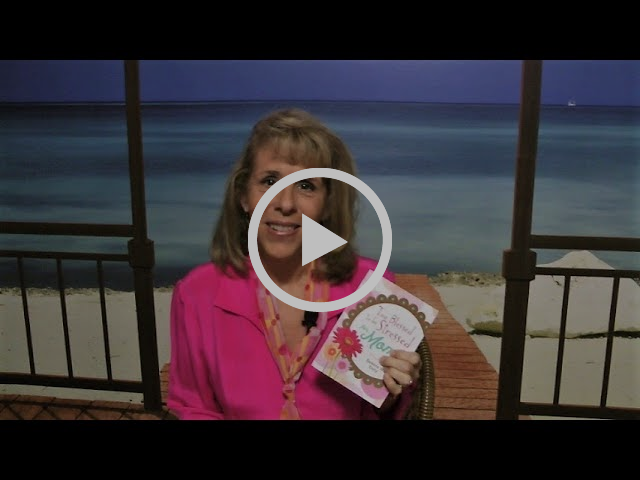 Interview with Elaine Stock and #giveaway!!! 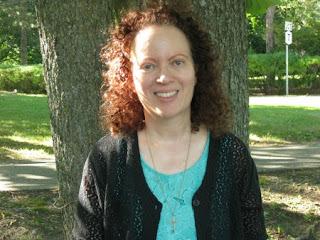 Today we welcome Elaine Stock to my blog. 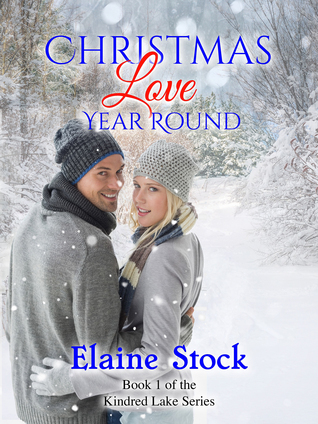 Elaine is very graciously offering one copy of Christmas Love Year Round (kindle version) to one commenter. Please include contact information. The Kindred Lake Series is about rediscovering the beauty of love especially in unexpected places, strengthening faith and family ties, and finding harmony in the small town of Kindred Lake. Book 1, Christmas Love Year Round, is Cami and Gavin’s story of love and forgiveness that gives new meaning to the “boy next door” when he becomes neighbors to the woman who bullied him during their childhood. Gavin wants to settle down after serving in the Air Force and mend the separation between him and his dad. What he never counts on is his changing feelings when he sees Cami as a kind woman instead of his former adversary. I am a 100% seat-of-the-pants writer and when I write fresh I need to totally become absorbed into my characters’ world so I can experience life as they do. To me that means to feel, smell, see, touch and hear what they do so no music for me at this stage. However, my favorite music is classical, especially Bach and Beethoven and listening to the local classical music station first thing in the morning before I write inspires me. Sometimes when I edit I also listen to music, though softly. I have 3 bad discs in my neck, which makes sitting upright at a desk quite uncomfortable. For me, it’s have-laptop-will-travel. Mainly, I park myself on the living room sofa so I can lean back with my feet elevated on a hassock…not bad considering I can look out of three large windows, plus in the winter I’m only three feet from the woodstove. Interesting question for me because I don’t do nights well—it’s the time when all the bogeymen from my past, and present concerns grow to monstrous shapes. As for storms, I’m like a cat that wants to hide under the sofa at the first clap of thunder—LOL. 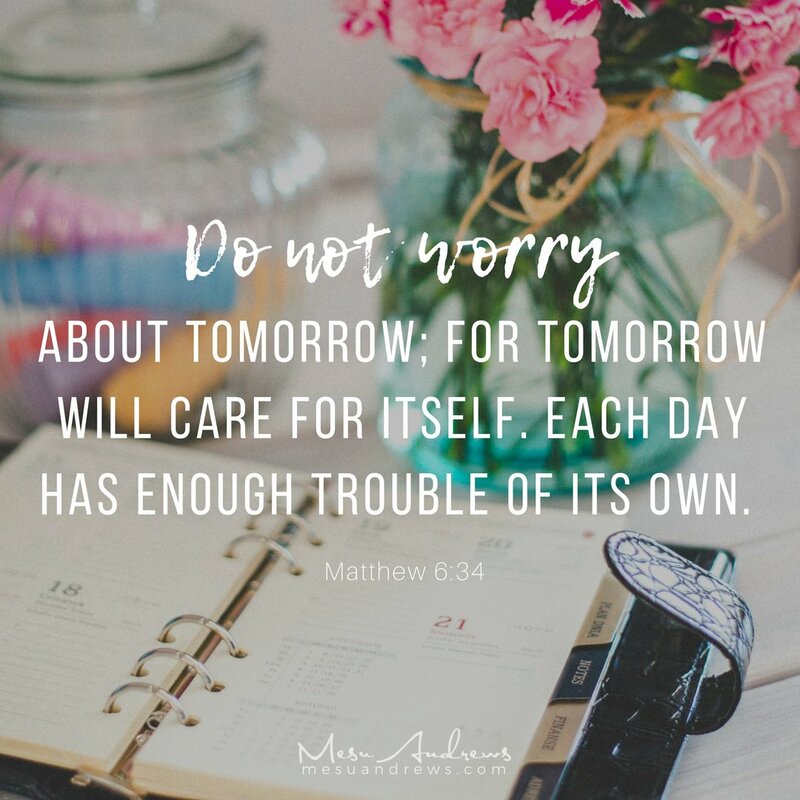 It was a dark and stormy night when Elaine opens a novel to escape for a while then hugs her husband goodnight, jumps into bed and opens her devotional to be reminded of how much God loves her. After lights are out, she falls asleep thanking God for her blessings and praying for others. What book that you admire do you wish you’d written? The Invention of Wings by Sue Monk Kidd, a gorgeously written novel of a slice of American history that should be required reading in school. The Nightingale by Kristin Hannah. I read it when it first came out 3 years ago and am still thinking about the haunting ending, let alone what the characters endured. For me, it’s juggling time with my husband, writing, and working a day job 32 hours a week. Plus, I have a weekly blog, Everyone’s Story, that I host guests. 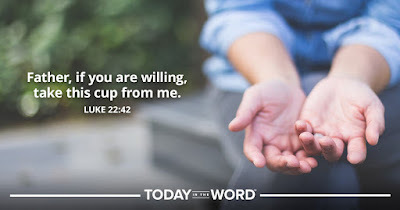 Sometimes, I admit, it gets a bit overwhelming, but I tamp down on my faith that God will get me through all this and take it one step at a time. I just do it! Plus, I’m kind of an adrenaline junkie—I function much better when I have more to do than less…as long as I have my morning coffee!! Elaine Stock--Fusing Romance, Family Drama, and Faith in a Clean Fiction Style. 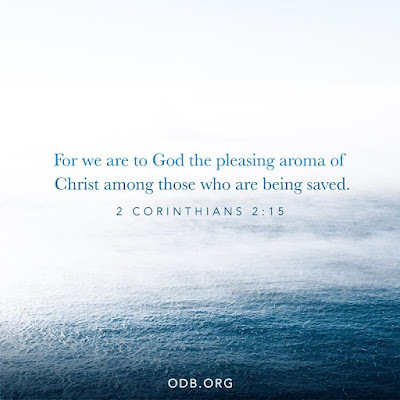 Elaine Stock is the author of the novels Her Good Girl, winner of the 2018 Readers’ Favorite Silver Medal in Christian Fiction and the 2018 American Fiction Awards in the Christian Inspirational category. Her debut novel, Always With You, won the 2017 Christian Small Publishers Association Book of the Year Award in fiction. She has since published a romance novella, And You Came Along, and Christmas Love Year Round, Book 1 of the Kindred Lake Series. 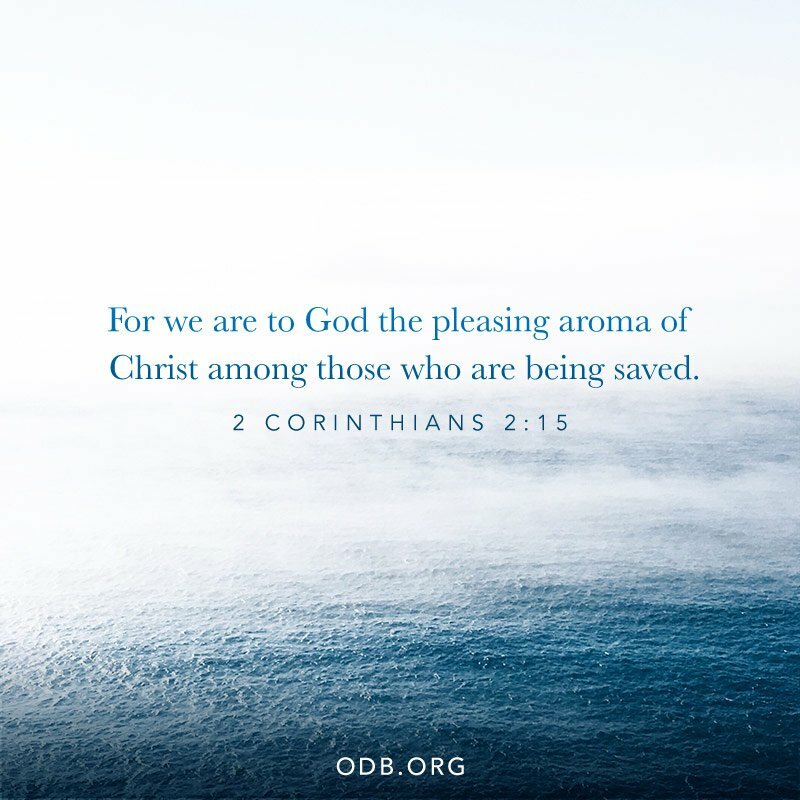 Elaine is a member of American Christian Fiction Writers, Romance Writers of America, and Women’s Fiction Writers Association. 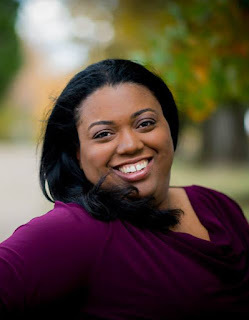 In addition to Twitter, Facebook, and Goodreads, she hangs out on her active blog, Everyone’s Story, dedicated to uplifting and encouraging all readers through the power of story and hope. 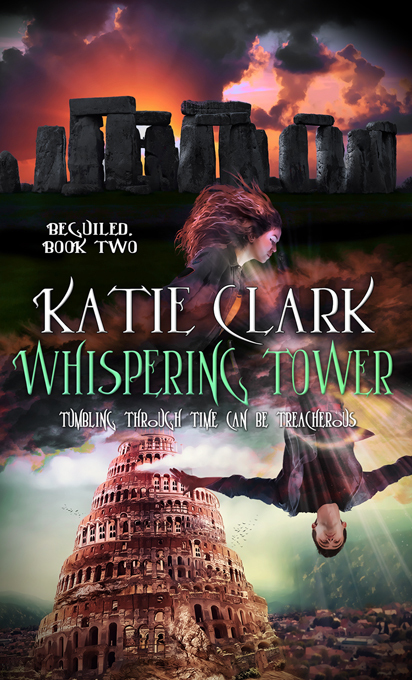 Whispering Tower: The Story Behind The Story by Katie Clark and #giveaway!!! Whispering Tower is book 2 in the Beguiled Series, but each book is a standalone that doesn’t have to be read in order. When I was brainstorming this book, it didn’t come easy! Getting it into shape took years. The book begins in current times, but Skye and Philip fall through time and end up in Old Testament Biblical times—though they don’t know that’s where they are! I based the plausibility of time travel off the story of Hezekiah, when God turns back the sun by fifteen degrees. The hardest part of pulling the book together was the elements that took place in the past. Whispering Tower is a time travel story—I did a lot of research to make it accurate, but I did take creative liberties because after all, it’s fantasy! 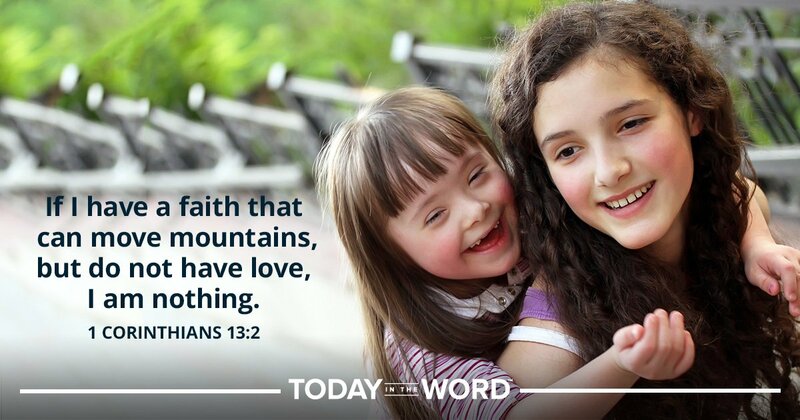 The story is about forgiveness, and finding purpose in the place where God has put you. Finding these themes and bringing them out also took lots of revisions! Book 1 in the series is Shadowed Eden. It released in 2016, and readers have been asking for quite some time when the sequel would release. I’m happy to finally have a date to share! May 2019! The book isn’t quite available for pre-order, but in the meantime book 1 can be found here! NOW IT’S YOUR TURN! What would you do if you found yourself falling through time? I’d like to think I could stay calm and collected…but who am I fooling? Leave me your answer below to enter for a chance to win a digital copy of Shadowed Eden, book 1 in the Beguiled Series! 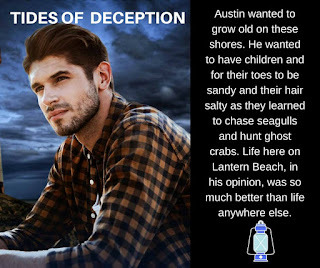 Stuck in London for one of her mom’s work trips, Skye Humphries can’t help holding a grudge when she ends up roped into a summer tour group with Philip-who-crushed-her-heart. But when Skye and Philip find themselves barreling through time after unsuspectingly opening the veil between the past and present, they’re thrust into a world where Skye’s very life is in danger. If she’d known her choices were between summering with Philip or being sacrificed to the god of the skies, Skye might have changed her attitude. Now she must figure out what’s most important to her—getting even for the past or having a future. KATIE CLARK started reading fantastical stories in grade school and her love for books never died. Today she reads in all genres; her only requirement is an awesome story! She writes young adult speculative fiction, including her romantic fantasy novel, The Rejected Princess, a supernatural survival novel, Shadowed Eden, and her dystopian Enslaved Series. 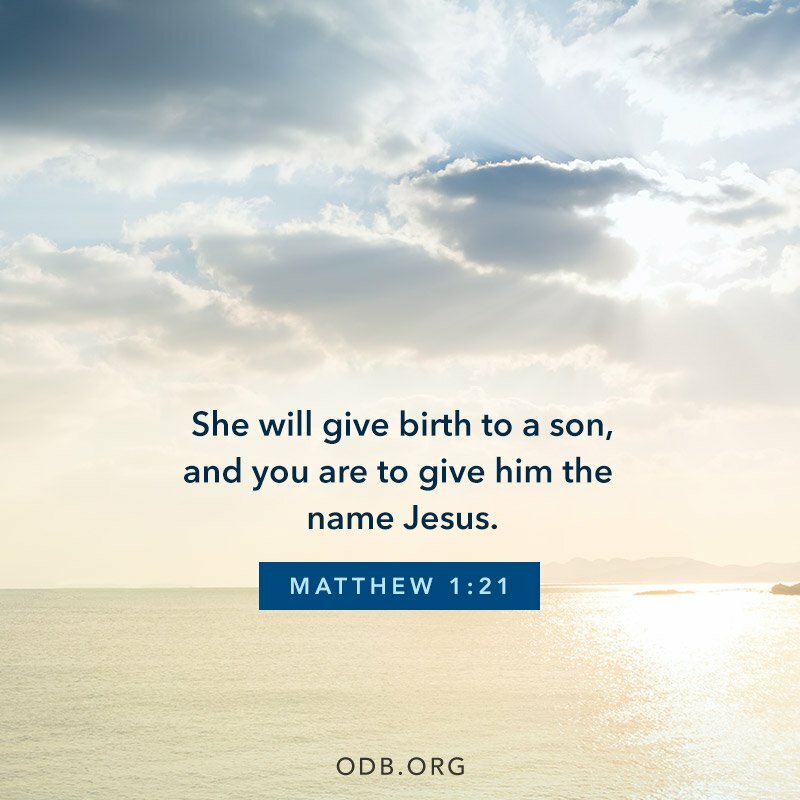 You can connect with her at her website, on Facebook, or on Twitter. The 6 Hearts of Intimacy. 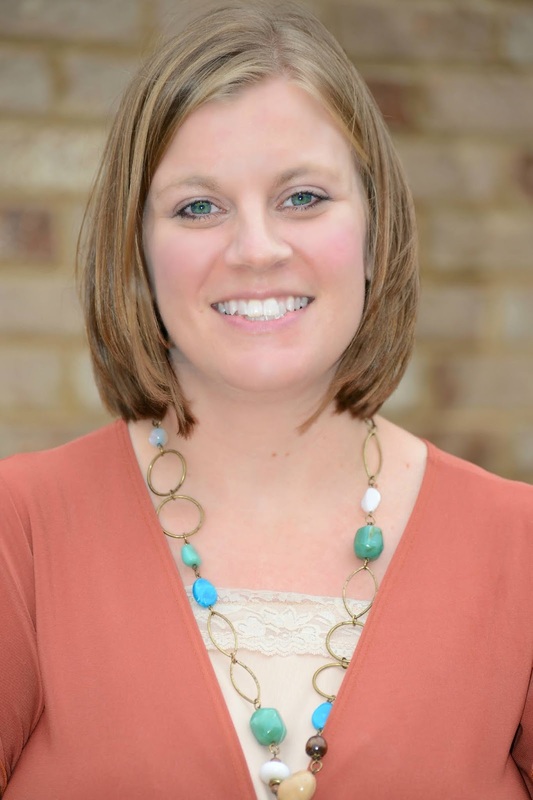 Interview with Michele Griep and #Giveaway!! !